The team is managed by Ross Finesmith. Finesmith is the one who put together the team in its entirety, and it is his mission and drive that have continued to keep the company in a dominant role in terms of its ability to offer concrete advice to clients. Prior to this, there was a gap in the market for writers and researchers to perform the necessary services; this has since been addressed. particular company. 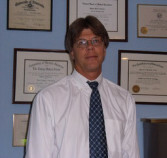 Along the way, he has also found twelve other physician specialists with experience in the various fields of medicine. Each one of them is an expert in their particular field of medicine, and are around to assist other companies in filling their health and science requirements. The mission of the company is rather simple. All kinds of clients have different products that they want to launch. And they have different reasons for doing it, and all kinds of different products. Despite this, it stands to reason that they all want one thing in common: to have a better business launch than they would otherwise have without help. They want to have the very best chance for their success that they can manage. So, to help clients, Ross Finesmith sets them up with a team that can help them get what they want more easily. It doesn’t matter what the need is. If it’s a research protocol, they can help with that. On the other hand, if something needs to be fixed and polished in the final manuscript, that can be arranged as well. If it’s a matter of figuring out how to market to physicians, then they can help with this as well.